Steven (Chicagoland, United States) on 21 June 2013 in Landscape & Rural and Portfolio. This view was captured from Chapel of the Holy Cross. Exceptionally good image, must have been a GREAT trip. A truly inspiring view from the Chapel! A very lovely view from a different angle. Such red rock beauty! another photo straigth from a geology textbook ... only artistically far better ! It shows its colors under a radiant light. A gorgeous colors!! Nice shot in beautiful country. Love the subtle cloud effects. Another splendid image. Just beautiful. I see houses down below. They have a magnificent view! I love the color! The greens sure do pop out in that earthen colour. Terrific shot. Gigantesque ! Les maisons en bas donnent l'échelle ! Nice series and great photo. A beautiful ccapture of the wonders and true beauty of our planet earth. The colour combinations are beautiful! Thank you kindly for your comments and support it is much appreciated . superb detail and colour tones! That's beautiful and absolutely marvelous to look at. Ah la la , great place !!! great shot ! 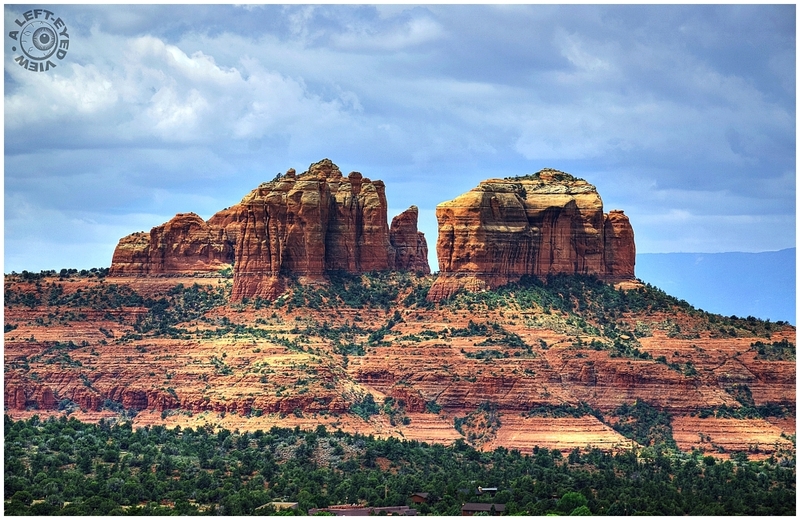 stunning picture to be taken in Sedona, too bad I was not doing photography at the time. Maybe one day I will go back only for pictures. We are using route 17 twice a year and we don't stop anymore, too bad. Wonderful landscape and impressive rocks! It's a great place to visit.